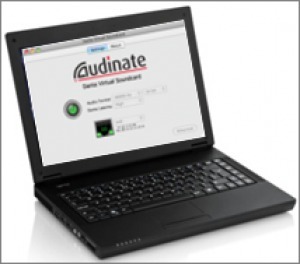 Dante Virtual Soundcard, Other Music Software from Audinate. 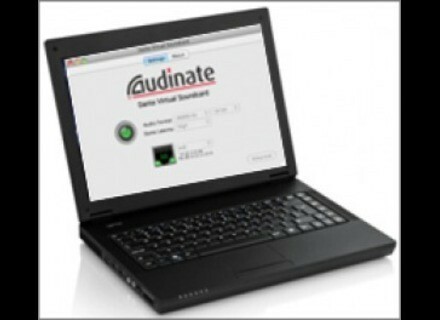 Audinate announced enhancements to its Dante Virtual Soundcard software for Windows and a special offer until the end of May 2013. The v3.2.0 update adds Windows Driver Model (WDM) mode for Windows which allows for using iTunes, Windows Medial Player, Skype or any other sound-based software on PC. Users will be able to play out and record from these applications. The Dante Virtual Soundcard can also be used on Mac OS X. It is designed to connect audio applications directly to a Dante audio network using a standard Ethernet port on a computer. The Dante Virtual Soundcard v3.2.0 is available for download from www.audinate.com/DanteVirtualSoundcard. Audinate also announced a promotion on the Dante Virtual Soundcard, which is sold $29.99 instead of $149.99 until May 31st. Steinberg Cubase 7 trial version available Steinberg announces the availability of a free trial version for their Cubase DAW. Square B, a new iOS app brand Square B, a new branded created by Audiofile Engineering, debuts on the AppStore with Vio an audio and visual voice transformer app. 8DIO launches a wrench percussion instrument 8DIO introduces Wrenchenspiel, a new sample library for Kontakt based on a custom wrench instrument.